A great concept and so awesome that you could bring your talents to the City underground. 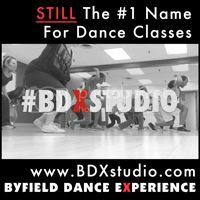 The name Shawn Byfield will one day be as recognizable as Gregory Hines, Savion Glover and even BoJangles when you talk tap. Awesome Shawn!! Congratulations to you and your lovely friend for an exciting routine. This is great!!! I LOVE it. Very neat to see you dance/choreo and it was done really well. It’s awesome how it builds up to the music and your neato moves :D. Excellent job! Fantastic! This put a big smile on my face today. You both did great…on this ad and in TTBA. Congratulations! Hey Shawn, Love the commercial, you guys did great!!!! Now that’s quality advertisement! Oh my gosh YOU freakin’ ROCK!!!! This is Awesome Shawn, you guyzzz did a great job!!! Superb concept, beautifully executed! If you get the chance to do a sequel commercial, I would like to see dozens of onlookers deciding to join in and tap! Just to let you know, Sean, we feel we couldn’t have found two better tappers anywhere. You guys were fantastic. KILLERS!!!! We had a great time working with you both.